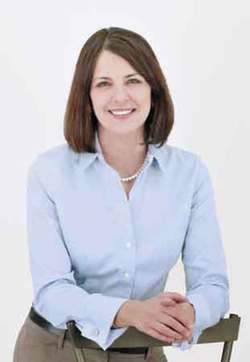 Wildrose party leader, Danielle Smith, is hosting a Meet and Greet on Tuesday, April 15th from 7-9 p.m., at the Super 8 Hotel at 3820-56 Street in Wetaskiwin. The Meet and Greet gives Albertans a chance to bring up concerns and ask any questions that they may have. During a phone conversation, Smith talked about some of the ideas that the Wildrose have to make Alberta run more efficiently and be an even better place to live. The premise of the 10/10 plan is that it would see the equivalent of 10% of provincial tax revenue flow directly to municipalities. Once a Wildrose government got the province back into a cash surplus (no longer draining savings or taking out debt), 10% of those surpluses would go back to municipalities as well. To ensure a fairly stable funding amount, instead of a formula connected to royalties, tax revenue would be used as a base. Combining this approach with a share of budget surpluses, the transfer increases with population and economic growth pressures. Wildrose is committed to ensuring that no community would be worse off under this plan. Any municipality expecting to receive extra funds from other special grant programs, would be helped by the creation of a transition fund that would guarantee no municipality receives less than they were planning on receiving. The areas that the Wildrose Budget 2014 makes recommendations are, leadership at the top, ending corporate welfare, eliminate ineffective bureaucracy and empower our front lines, zero based budgeting, strengthening the Auditor General’s office, investing and saving. “They are such obvious ways to reduce spending without impacting front line services and yet year after year instead of seeing the waste, entitlement and perks go down, we see it continue and even get worse,” Smith says.